The Freud Museum was the home of Sigmund Freud and his family when they escaped Nazi annexation of Austria in 1938. 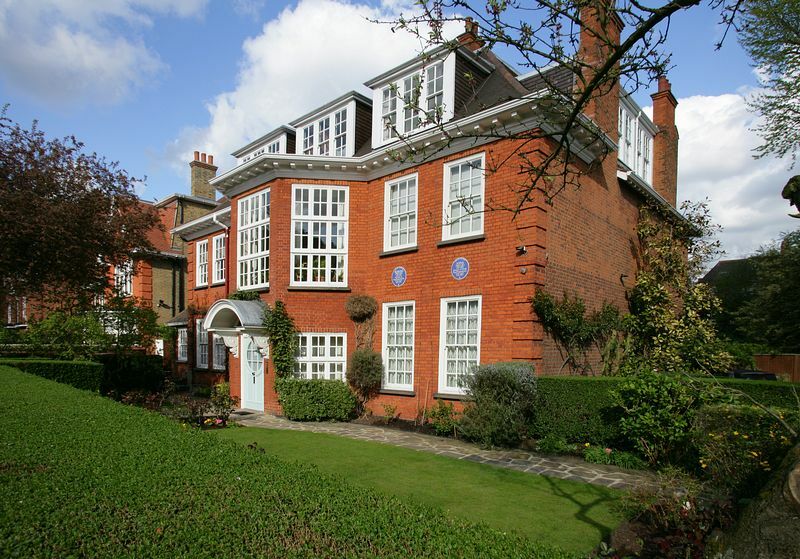 It remained the family home until Anna Freud, the youngest daughter, died in 1982. The centrepiece of the museum is Freud's library and study, preserved just as it was during his lifetime. It contains Freud's remarkable collection of antiquities: Egyptian; Greek; Roman and Oriental. Almost two thousand items fill cabinets and are ranged on every surface. The walls are lined with shelves containing Freud's large library. as a cultural and research centre of outstanding value to the professional community. The Freuds were fortunate to be able to bring all their furniture and household effects to London: there were splendid Biedermeier chests, tables and cupboards, and a fine collection of 18th and 19th-century Austrian painted country furniture. The most famous piece of furniture is Freud's psychoanalytic couch, on which all of Freud's patients reclined. The couch is remarkably comfortable and is covered with a richly coloured Iranian rug with chenille cushions piled on top. 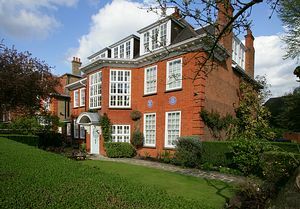 The Freud Museum celebrates the life and work of Sigmund and Anna Freud and organises active programmes of research and publication. It has an education service which organises seminars, conferences and special visits to the museum. There is a shop well-stocked with books, photos, postcards and souvenirs on the life and work of Sigmund Freud and books on contemporary psychoanalysis. Parking: There is residents-only parking outside the Museum, but you will find "pay-and-display" parking nearby. We also host a lively events programme to accompany our historic and contemporary exhbiitions. Audioguides are available in English, French, German, Italian, Portuguese and Spanish. The museum is available for private hire. Please call for details. Near Finchley Road Underground Station. Signs mark the way from the station to the museum. Jubilee Line or Metropolitan Line to Finchley Road underground station. To the Finchley Road Underground Station, 13, 82, 113 . Taxi or car: From Central London follow the Finchley Road (A41) north as far as Swiss Cottage. At the Swiss Cottage intersection follow the sign to Hampstead. Take 3rd turn left after the Swiss Cottage lights into Nutley Terrace, which intersects Maresfield Gardens.